Mrs. Mellerio, you are one of the French members of the Hénokiens. Could you please introduce yourself to our readers? > Emilie MELLERIO: I am Emilie Mellerio, the newly appointed Chairman of the Board of Mellerio international, the operating structure of the Mellerio group. I am also the first woman with a preeminent role in the family firm since its creation in 1613.
Who better than you can present your company and its activities? 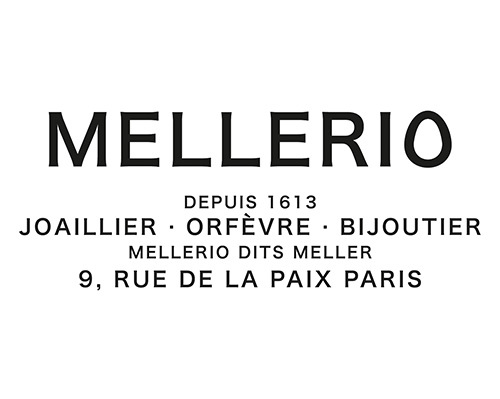 > E.M.: Mellerio dits Meller is a jewelry and goldsmith company that was founded over 400 years ago. We have also been watch-makers since 1993. Could you say that this extraordinary longevity is an asset in your relations with your customers? > E.M.: Of course! Having been the jeweler to queens and empresses for centuries, Mellerio has developed a sacred attention to details and a dedication to finding the most exclusive precious stones and designs. Queens came to Mellerio to purchase pieces of jewelry for their personal use (rather than institutional jewelry, which they would buy also elsewhere), pieces that talked to their soul and told their story. We therefore built a bond with our customers based on trust and complicity. How is your family involved in the company? > E.M.: Mellerio dits Meller is first and foremost a family business and the family is strongly attached to the independence and sustainability of the company. The family owns 100% of the group. There are three main shareholders. We have recently decided that the family members should concentrate on their very important role as shareholders, ensuring the longevity and control over the group, while the operating management has been entrusted to a non-family CEO. What were the most striking events in the past few years for MELLERIO dits MELLER? > E.M.: Mellerio dits Meller has reached many milestones in recent years. The most memorable one being our 400th anniversary which we celebrated in 2013 by dedicating our High Jewelry collection to the queen that started it all: Marie de Medici. For the occasion, we also launched the first book ever published about Mellerio. In 2015, we will also be commemorating the 10th year of our “Mellerio cut”, a new diamond cutting technique with a shape that is neither round, nor pear, nor oval : a flowing, clear and sophisticated form. > E.M.: Although we maintain some of our traditional values, I strongly believe that it is important not to go backwards and to challenge everything. That is why research and innovation are the key aspects of our activity. Mellerio dits Mellerhas already registered numerous patents and we try to continue today with our stone cut as well as innovative Jewelry pieces. What are the most important traps that your company must avoid in order to preserve its independence? > E.M.: The jewelry business has considerably changed in recent decades: while we have remained independent, most previously family-owned jewelry houses have been bought by large groups. This has given them more power and more capacity to invest and therefore made competition increasingly difficult. In order to compete with these larger groups, we need to keep evolving and constantly challenging ourselves to create new and innovating jewelry. However, it would be a mistake to try to imitate these group strategies, it would undeniably lead to the loss of our independence. > E.M.: Of course, it is not easy to stay independent. But fortunately the survival of the company has always been more important than self interests. Thanks to the very strong determination of each generation to keep our company familial, we have survived. > E.M.: No, not really. We try to find the most skilled person to manage the firm. E.M.: There is no secret recipe, and new challenges are faced by each generation, which need to find their own solutions. Although there were always many children in the family (average 8 to 10 until recently! ), we always made sure that the capital would stay concentrated in the hands of only two or three main shareholders. Last but not least, we have been lucky enough to work with talented people who genuinely love what they do and helped our firm develop. Could you say a few words about your major projects in a middle or long term? > E.M.: We are working on building our own original business model, mainly based on expending to new markets, on developing differentiating jewelry pieces and on providing true luxury experiences to our customers. > E.M.: I believe it is important not to trust preconceived strategies and to challenge everything, even your own views on things, for you are creative when you challenge yourself and you are right when you are true to your DNA and consistent with it.